This will be quick and easy tutorial but I need to be sure you guys know that you can add materials to your UMG widgets. So basically if you are working on PC game you could use 100% power of UMG materials but when working on mobile game keep in mind that some features aren’t supported! It can be done using UMG and materials without a problem. Let’s start by improving health bar. Create material from progress bar fill texture. Material is really simple. 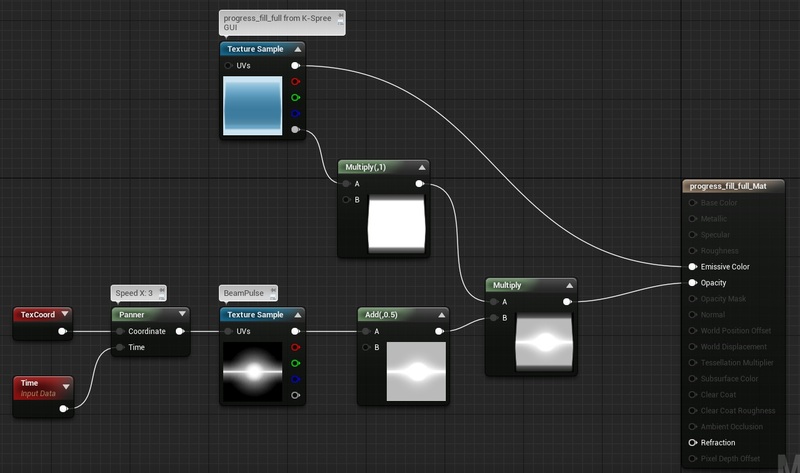 Just panner animation added to BeamPulse texture. Now go back to your UMG widget and assign this material to fill image. Do the same thing as with health bar material.